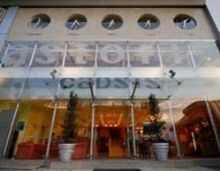 The Capsis Astoria Hotel, with its long tradition in hospitality (built in 1966 and fully renovated in 2007), welcomes you to its enjoyable modern environment and offers the unique premium-quality services. This eminent four-star hotel is one of the city’s main points of reference and best-loved meeting places fro the citizens of Heraklion. The Capsis Hotels Group has invested in the quality of its venues and with the assistance of recognized interior designers, has renovated all its rooms and conference facilities. In smooth shades of brown and green, the newly renovated rooms have turned into the real pieces of art. 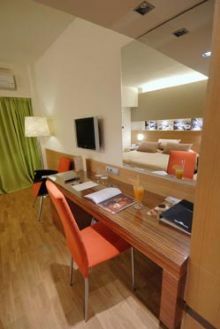 Guests can choose among 131 standard and superior rooms or deluxe suites. Every room is fully equipped with wireless internet access, TV TFT screens and all the necessary gadgets that will satisfy even the most eclectic visitors. The artistically decorated bars and restaurants of the hotel embrace you with their delicate ambience. Each morning, the famous Erofilli restaurant offers you a delicious variety of foods in a rich breakfast buffet, simultaneously becoming an exceptional lunch or dining option. Here, the recognized chef of Capsis Astoria makes sure that all the food preparation and its decor is done with professional diligence. As an alternative, Cafe Capsis operates non-stop to create and serve deliciousmeals, various coffees and appetizing drinks. At the Zefuros Pool and Snack Bar, light snacks and cold refreshments can be enjoyed at a cool and pleasant surrounding by the pool. 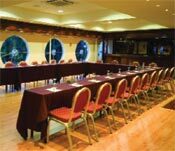 The Capsis Astoria facilitates small to medium sized conferences, incentives, seminaries and parties up to 300 persons in four fully equipped conference rooms Ariadni, Cellar, Muses and Daidalos. 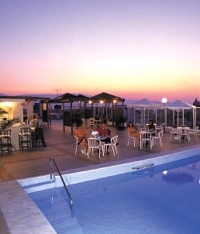 Also, the hotel’s rooftop Zefyros Pool can host professional and personal events for up to 900 persons. 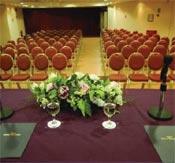 The hotel provides outside catering for the needs of local companies.